SKORA, based in Portland, Oregon, offers something different…a shoe company started by runners without the need to conform to conventional materials, marketing, or design. Don’t use the words minimal, natural, or barefoot-style to describe these puppies. SKORA won’t own those adjectives. Instead, they use the phrase “run real,” which I’ve come to learn means just that. Real. If it works, do that. Don’t put me in a box. Run Real is more than a statement, it is a way of conducting business. We believe runners are smarter than most brands give them credit for. We are free-thinking and challenge conventional wisdom. We believe in common sense, rational principles and challenging the status-quo. SKORA Running Video from SKORA INC. on Vimeo. I had a chance to catch up with Kyle Kranz, Social Media Coordinator from SKORA, to find out more. An anatomical last and asymmetrical lacing to provide the most comfortable fit. And did I mention goat skin leather (Form & Core models)? An all leather upper? That sounds bad. Won’t it be heavy? And how is that going to wick moisture away from the feet? Kyle assures me that the perforation in the leather achieves this. Along with the tanning process and microscopic ceramic coating on the leather, SKORA confirms the leather will remain both water resistant, breathable, and as soft and supple as the first wearing. And the leather conforms better to your foot, allowing that perfect custom fit. While supplies last, you can get 30% off select models and colors of the Base and Form plus FREE shipping! Or…you can get excited about the new models and give them a whirl when they become available. Although SKORA is pretty certain you’re going to fall in love with their shoes, every package does come with a pre-paid FedEx label should you need to return or exchange them. How can you go wrong there? Be sure to follow SKORA on Twitter and like them on Facebook. Kyle is always around to answer your questions! And check out the SKORA blog and Kyle’s personal blog, Running on the White Line, too! Always great stuff! Do you Run Real? Tell me about it! *I have received no compensation for this post. All opinions are my own. I can’t wait to get my hands on the Core as soon as it’s available. Fingers crossed! 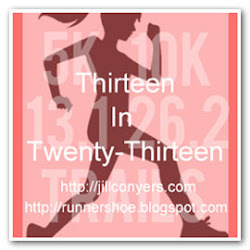 This entry was posted in Product Reviews and tagged Base, Core, Form, Phase, Run Real, shoes, SKORA. Bookmark the permalink. beautiful shoes born out of a desire to just run. love it. love that they don’t believe in the shoes should only last 300 miles either. Yes! I want the new Core. Can’t wait!